The following definition of the character dances was originally written in Spanish by Katherine Laitón Penagos*. It has been translated to English by Maria Naranjo for contemporary-dance.org. Defining the concept of character dances is not an easy task, because there are different points of view that produce confusions, due to the combination of ideas. In this text, we’ll try to describe some of those definitions and we’ll point out with which of them we agree. On the one hand, Lifar (1968, p. 49) makes a differentiation between characteristic dances and classical dances: “It is frequent to understand ‘characteristic dances’ as the comic or ordinary dances and ‘classical dances’ as those which are artistic and of elevated inspiration”. Other than this difference, he indicates (1968, p. 51) that we should distinguish what is academic from what is not, the first being a study within the frame of a systematic learning of dance that is developed with a continuity, and the second being the name of other dances like regional dances or improvisations. If we consider this last idea, we could think that characteristic dances, not in the sense of ordinary dances but inserted within the aesthetics of ballet, make part of an academic process indeed; therefore they are different from popular dances. On the other hand, we have a definition by Hechavarría (1998, p. 168). The author says that this is the name of dances that have folkloric roots, grotesque and picturesque dances, or from some specific theatrical characters like wizards, old men, national figures or some unreal or typical characters. For this type of dances or performances, there’s a special type of shoes, which are very different from pointes or demi-pointes shoes. Those usually have heels and look closer to non theatrical footwear. This author still relates folklore with character dances, but it is important to make clear that although they come from folklore, these dances are inserted within the repertoires and aesthetics of ballet; they are stylizations and adaptations of different steps from folkloric dances that are performed within ballet choreographies. Another contribution by Hechavarría is to mention the specific characters, also called the ‘character roles’. Regarding this topic, Blasis, in his treatise, defined something that will be fundamental in the development of ballet: the different physiognomies of dancers. As we mentioned in the introduction of this work*, the character roles execute more mimics than dance, generally. This is what differentiates them from the rest of dancers. So, how to define the character dances? As we’ve seen previously, these dances arose during the nineteenth century as an expressive form within the ballet pieces. At the beginning, they were presented in an appealing way, reaching to awaken great interest in the audience for their imitation of popular figures like heroes, peasants or innkeepers that moved different from the ballet dancers. By incorporating the character dances to the choreographies of ballet, the repertoires are renewed and recover their popular origins, with which they become less hieratical and more varied. As we know, in its origins, these dances arise from traditional and social European dances and flourish in the stages of the nineteenth century. Since Fanny Elssler performances and later, the choreographies by Marius Petipa, the character dances are included within the ballet pieces. Petipa will incorporate variations in his pieces that show an exchange between the pure classical and the non conventional. At her turn, Paulina Ossona (1984, p. 12) mentions in her book that classical dance is subdivided in three big branches: noble dance, character dance and half-character (demi-caratère) dance. The first one can be defined as dance in the purest classical style; the second as dances inspired in traditional dances or in dances that imitate the movements from a person or job; and the last one is defined as a dance inspired in the same as the previous one but executed with the technique of classical dance. 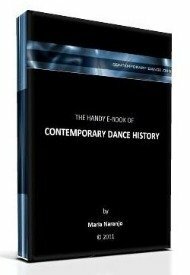 According to this, the dances studied in this work* correspond to the definition of half-character dances. Once again, some confusion between character dances and character roles appears in the definitions, but as we’ve mentioned before, our interest focuses in dance itself. - Popular dances (danced by people in all occasions). - Popularized dances (coming from high classes and created by teachers to be adopted by the folk, afterwards). Within the last category we may include polkas, mazurkas and waltzes, among others, which will be reused by ballet to adopt them within its aesthetics. As we see, there are differences between folkloric dances and character dances. Folkloric dances are, according to Josefina Elósegui (1980, p. 14), “those that each culture received, adapted and transmitted to the following generations; they reflect the roots of a community, its sense of art, its tendencies…”. According to Rumen Ivanov Rashev**, the character dances are based on folkloric dances from different countries and regions, but they are highly stylized so that they can make part of classical ballets, always preserving their national characteristics”. With the previous definitions we’ve cleared the relationship between folkloric dances, character dances and character roles. However, we could also have a look at other definitions found in the web. One of those is a contribution by Mariana Sánchez (2012) who says that there’s a difference between character dances that are danced by classical dancers and character dances that show the European folklore in its purest form. In other words, she thinks that there are character dances outside the repertoire of ballet. In our opinion, there’s a misunderstanding there of the difference between classical ballet and folkloric ballet, because it’s not the same to say that classical dancers are trained in character dances than to say that folkloric dancers are trained with ballet to stylize their folkloric dances. Sánchez states that character dances are included within the repertoire of ballet to make the pieces more colorful. She also notes that a class of these dances has the same structure as the one of ballet: bar and center. The first part has the goal of keeping the clearness of execution of usual exercises like pliés, tendus, fondues, etc., adding the general character style with notorious movements of the arms and head. In the center, other exercises and combinations will be done, to achieve an accurate excution. It would be right to highlight what she says: these dances allow a better development of expressivity and coordination in dancers. Also, as pointed by Ángel Zamora, “each town has its own dances and with a clearly defined national character. Some dances are imported or exported, but they are adapted to the characteristics and peculiarities of those places”. This makes us understand that ballet can indeed use the typical dances of various communities and adapt them to its aesthetics to put them on stage. From our point of view, these last contributions found in the web clear out the understanding about the definition of character dances a lot. *Laitón Penagos, Katherine. Danzas de Carácter. Electiva para el pensum de la Licenciatura en Educación Básica en Danza de la Universidad de Antioquia. Proyecto Pedagógico para optar al título de Licenciada en Educación Básica en Danza. Asesor René A. Martínez Ydrogo. Universidad de Antioquia, Medellín, 2013. **Born in Bulgaria in 1957. Dancer of the Vaganova school; First dancer of the National Opera of the city of Plovdiv (Bulgaria) in 1981. Etoile of the National Opera of Sofía (Bulgaria) from 1982 to 1990. Currently teaches in UNEARTE, Teresa Carreño, Ballet de Las Américas and Endanza, in Venezuela. His testimony was given to us directly through the web. Abad Carlés, Ana. (2010). Historia del ballet y de la danza moderna. Madrid: Alianza Editorial. Elósegui, Josefina. (1980). Apreciación de la Danza. Guía de estudio. La Habana: Editorial Pueblo y Educación. Hechavarría, María del Carmen. (1998). Alicia Alonso más allá de la técnica. España: Universidad Pontificia de Valencia. Lifar, Serge. (1968). La danza. Barcelona: Editorial Labor S. A.
Ossona, Paulina. (1984). La educación por la danza. Barcelona: Ediciones Paidós. Do you need to take ballet to do contemporary ?